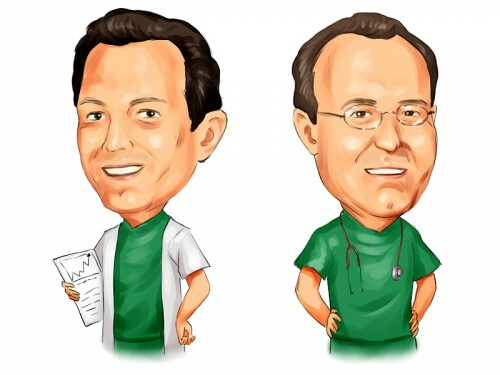 Healthcor Management LP is a New York-based healthcare-focused hedge fund founded by Arthur Cohen and Joseph Healey in 2005. Prior to forming the fund, both Cohen and Healey worked for Steve Cohen’s SAC Capital Advisors. Between 1995 and 2000, Cohen also served as the Managing Director at Julian Robertson’s Tiger Management, managing the healthcare investments of the fund. Healthcor Management LP recently filed its 13F with the SEC for the June 30 reporting date. According to the filing, Healthcor’s U.S public equity portfolio was worth over $1.98 billion at the end of June, with 90% of its holdings being in the healthcare sector. The fund had a very high turnover of almost 110%, having sold out of its stakes in 35 stocks, which initiating new positions in 23 stocks. In this article we are going to focus on Healthcor’s top three equity holdings at the end of the second quarter, which are also its top healthcare picks. They are Edwards Lifesciences Corp (NYSE:EW), HCA Holdings Inc (NYSE:HCA), and Mallinckrodt PLC (NYSE:MNK). Healthcor increased its position in Edwards Lifesciences Corp (NYSE:EW) by 340% to 1.1 million shares during the April-June period. As of June 30, this stake was worth $156.67 million. Edwards Lifesciences Corp (NYSE:EW) is a developer and manufacturer of heart valve systems . The company came out with better-than-expected second quarter results on July 28. It reported EPS of $1.13 on revenue of $616.80 million, compared to EPS of $1.05 on revenue of $604.97 million that the Street was expecting. On August 10 analysts at Credit Suisse reiterated their ‘Buy’ rating on the stock, while upping their price target to $162 from $150, which represents upside potential of about 13% over the current share price. Apart from Healthcor, another hedge fund that was bullish on the stock during the second quarter was Ken Griffin‘s Citadel Investment Group, which increased its stake in Edwards Lifesciences Corp (NYSE:EW) by 219% to almost 1.25 million shares.